Patient contact is becoming a leading point of emphasis in health care. For radiologists, who traditionally have had contact primarily with other doctors, patient contact can be a challenge. With patients now able to access much of their medical information through patient portals, one way radiologists can have more direct contact with patients is by making radiology reports easier to understand. Radiologists at the Hospital of the University of Pennsylvania (HUP) in Philadelphia have developed Patient-Oriented Radiology ReporTER (PORTER) to address that need. PORTER annotates MRI reports with definitions of medical terms, links to public references, and available public domain illustrations and images. "One of the criticisms of radiologists is that we don't have more interactions with patients and certainly one of the core principles of Imaging 3.0 is that we should have more interaction with patients," says Tessa S. Cook, MD, PhD, an assistant professor of radiology and the chief of 3D and advanced imaging at HUP. "So rather than trying to structure something where we would actually sit down with patients and go over reports, we wanted to try to reach as many people as possible while providing this service." The pilot project, led by Seong Oh, MD, a fellow at HUP; Charles E. Kahn, Jr, MD, MS, a radiology professor and the vice chair of radiology at the Perelman School of Medicine at the University of Pennsylvania; and Cook, focuses on MRIs of the knee. The Web-based tool was developed in 2014 and rolled out in the spring of 2015; it requires no special software. When patients view their report through a portal, an embedded URL takes them to a secure login screen, where they can sign in and view the annotated report. For increased security, no identifiable patient information is displayed. The developers combed through hundreds of knee MRI reports to build a glossary of anatomical, physiological, pathological, and technical terms and phrases that are frequently used. They also included synonyms. Hovering or clicking on highlighted terms displays definitions in pop-up balloons with supplemental information, such as images or Web links. The printed report displays applicable glossary terms listed alphabetically with their definitions. The radiologist's name can appear in the online or printed reports. Cook says tools like PORTER can promote patient-centered care and help narrow the gap between patients and radiologists. Many patients have little understanding of the radiologist's role beyond reading studies. Being more accessible to those patients can demonstrate radiology's value not only to other physicians but to patients as well. "Historically, we have been the doctor's doctor, as it were. 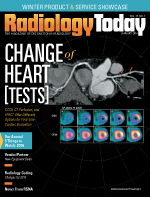 But that's definitely changing, and it's not just changing in radiology," Cook says. "Patients are entitled to have access to their medical records, whether it's their test results, imaging results, biopsy results, clinic visits, or any other relevant information. Now that we have so many patient portals, patients truly have the ability to participate more in their care and, at least, have access to this information. But having access to the information doesn't necessarily mean that it can be interpreted by someone without a medical background. Even people who have a medical background may not be equipped to read every document from every specialist." With the ability to look up medical information online, patients are educating themselves about their health. The trouble is that not all digital information is created equal. Tools that help patients put medical information in context are becoming increasingly necessary. Physicians have no control over the validity of information that patients find on their own, but they can make sure that the information they provide is accurate and relevant. Currently, PORTER is only available to patients in the University of Pennsylvania Health System and only for knee MRIs. Cook says the HUP team is working on new applications, but new glossaries are needed for studies and conditions containing terms that have yet to be defined. Down the road, she says they may consider making it available beyond the health system. By providing services like this, radiologists can be a more visible part of patient care. Cook says the infrastructure for tools like PORTER already exists. She sees annotation tools as a starting point for more interaction between patients, radiologists, and referring physicians. "I'm not going to tell someone not to go out and Google something, but it's important to have the opportunity to have a conversation about it, and that's sometimes hard to do within the patient-radiologist relationship," Cook says. "So this at least gives us an opportunity to communicate with our patients and try to educate them a little bit better, with the understanding that, ultimately, the referring physician is involved in this discussion, as well."